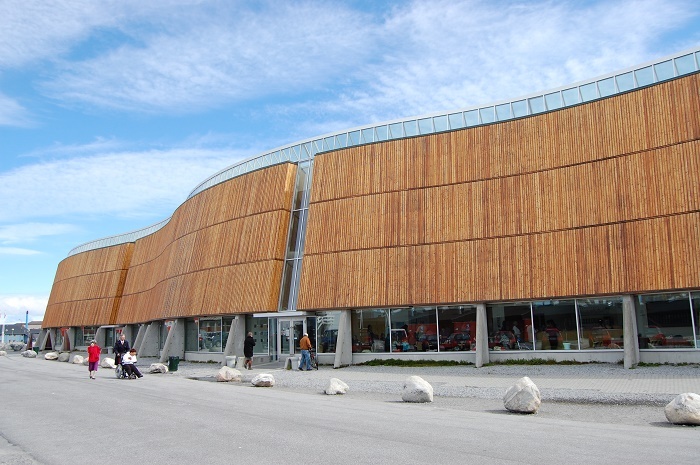 The Katuaq Cultural Centre, also known as Grønlands Kulturhus, is a modern architectural building that serves as a cultural center used concerts, exhibitions, conferences and cinema, and it is located in Nuuk, which is the capital and largest city of the autonomous constituent country within the Kingdom of Denmark Greenland. 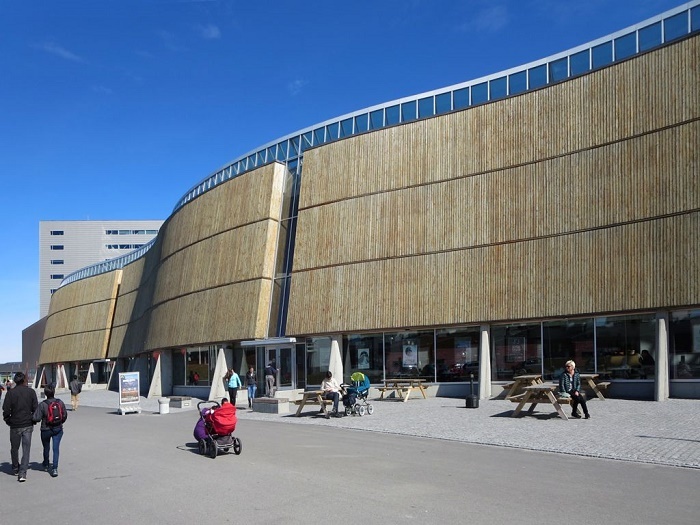 Designed by the international architectural firm founded by a group of Danish architects, Schmidt Hammer Lassen Architects, it was constructed between 1994 and 1997 with the inspiration of the northern lights. 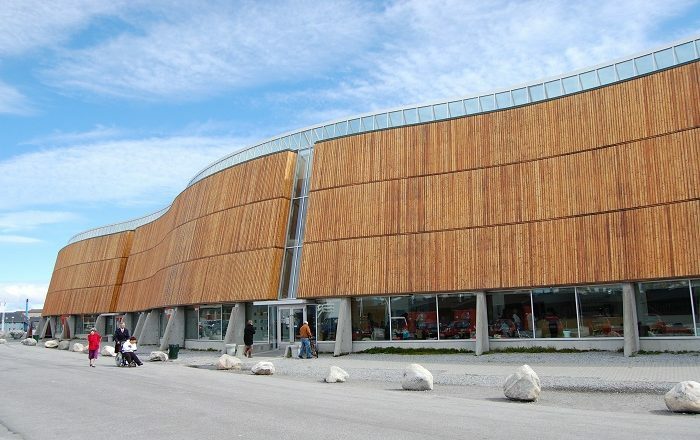 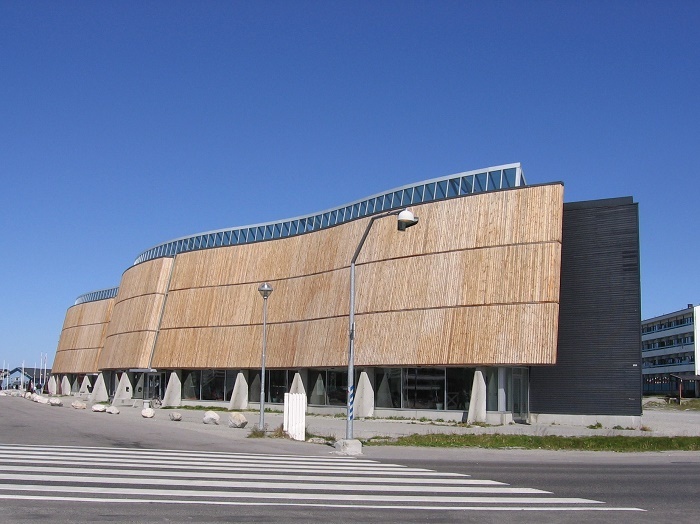 Katuaq, which in Greenlandic means drumstick, is by far Nuuk’s finest piece of modern architecture, where the entire building is raised above the ground and clad in golden larch wood on both the inside and outside, while the building itself is faced onto the central urban space of the capital city. 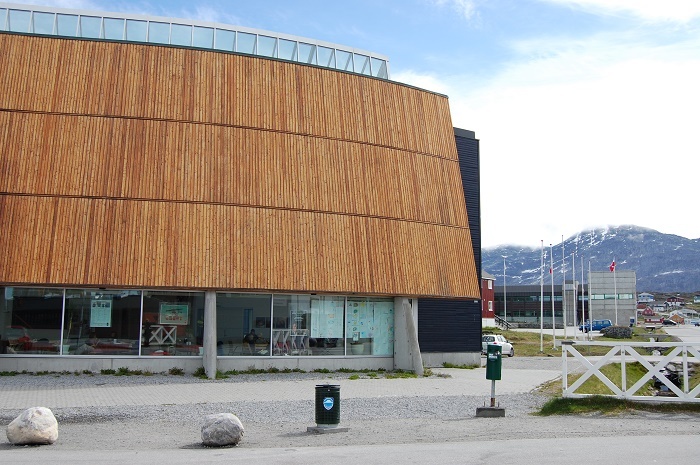 As it was built to last and survive Greenland’s unforgiving climate, it shall inspire all of the artists with its surging, bright, timber-clad façade, accompanied with the luminous skylight to create even better and more intriguing pieces of art. 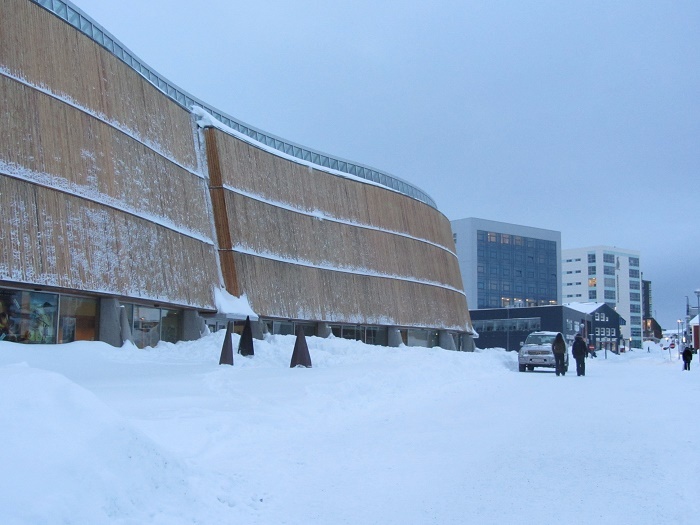 There are two auditoria, which combined together can accommodate 1,516 guests, where the bigger auditorium is mostly used for concerts, theater, conferences, and there is also cinema with a café for an even greater experience of Greenlandic artistic community. 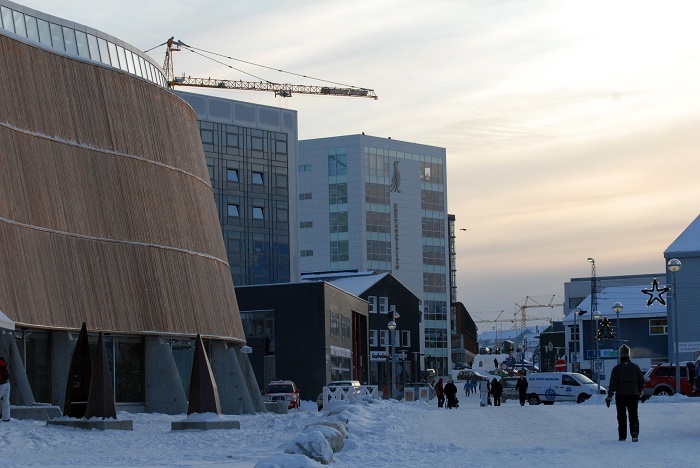 Nonetheless, as the modern life and traditional customs are intertwined, Nuuk shall continue to be the beacon of modernism in the Arctic which is always followed by the tradition influences of the Inuit people, and it will be the everlasting tourist place for visitors to admire the impressive architecture combined with the nature.